Hosted by the Georgia Food Bank Association just concluded in May. 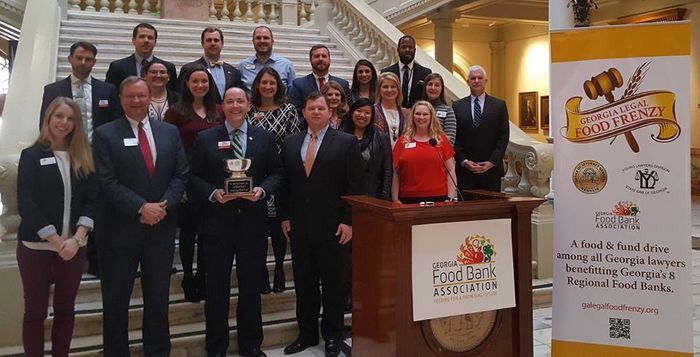 Georgia law firms, corporate legal departments, and other legal organizations competed to raise monetary and food donations their regional food bank. This year, all legal organizations across Georgia raised a total of $329,287 and 19,084 pounds of food. The donations raised help provide food banks with additional food due to increased need of food over summer breaks. Within our 24 county district, a total of $8,152 and 561 pounds of food were raised. Thank you to our participating legal organizations Ayerbe & Arnold Law, Brodie Law Group, Jon Hawk Law Firm, The Law Offices of Connie L. Williford, James-Bates-Brannan-Groover-LLP, U.S. District Court- Middle District of Georgia- Macon Division, Westmoreland, Patterson, Moseley & Hinson LLP, Georgia Legal Services Program - Macon Office, and Jones Cork, LLP. Congratulations to Mercer Law School for winning the Attorney General Cup for the Law School Division. Celebrity TV Chef Jernard Wells hosts this family friendly day of fun, delicious foods & spirits from top chefs from notable restaurants, caterers & rising chefs from the Macon area; all in the name of helping the Middle Georgia Community Food Bank to fight childhood hunger in the 24 Middle Georgia counties they serve. 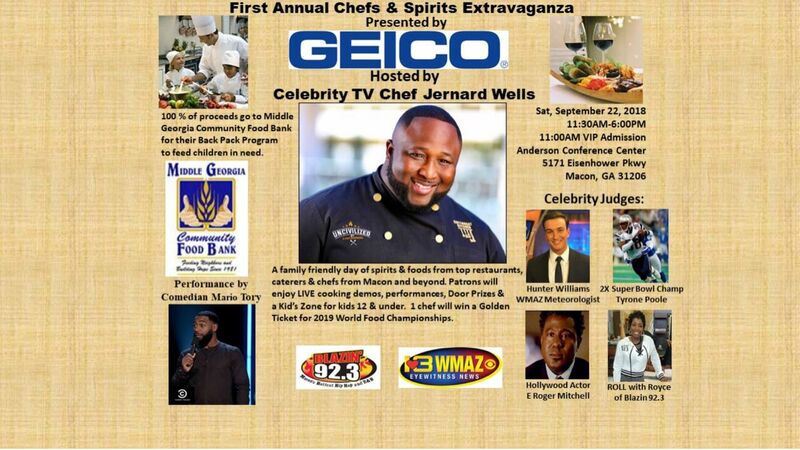 Attendees will enjoy LIVE cooking demos from Chef Jernard and other notable chefs, performances, great door prizes & a Kid’s Zone. Chefs will also compete to win a Golden Ticket for 2018 World Food Championships in Orange Beach, Alabama. We have 2X Super Bowl Champion Tyrone Poole & radio personality Royce Freeman from Blazin 92.3 as some of our Celebrity Judges/Tasters and more to be announced. 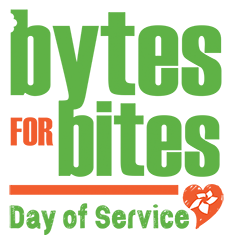 Hosted by the Georgia Food Bank Association this June, Bytes of Bites encourages technology sectors across Georgia to compete to raise monetary and food donations for their regional Food Bank. The donations raised allow food banks to have enough supplemental food for families when there is an increased need during the summer months. In 2016, Georgia’s technology sectors raised a total of $26,200, and 4,098 pounds of food. Thank you to LBA Ware for your participation in last year’s Bytes for Bites competition for our region. Hosted by the Georgia Food Bank Association. Georgia’s accounting community competed to raise monetary and food donations for their regional food bank. 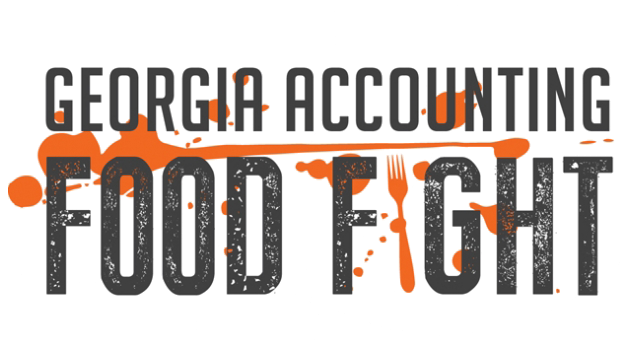 Last fall the Accounting Food Fight raised $108,434, and 16,747 pounds of food. Thank you to our participating accounting organizations Clifton, Lipford, Hardison & Parker, LLC, Mauldin & Jenkins, LLC, TJS Deemer Dana – Dublin, and Wesleyan College. Congratulations to our regional winners Howard, Moore & McDuffie, P.C., and McNair, McLemore, Middlebrooks & Co., LLC. Check Out Our Inaugural Newsletter!